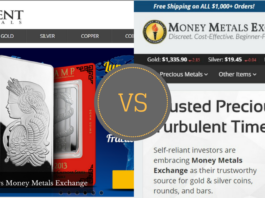 Below is a list of comparisons between dealers based on a series of categories, price, selection, service, shipping time as well as a ranking from both Silver Monthly and Real Customer reviews. 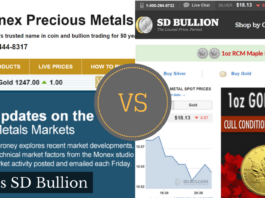 Research the differences between the largest and smallest bullion dealers to find the best dealer for your personal needs. Each dealer comparison features a selection of real customer reviews to share the opinions from people just like you. 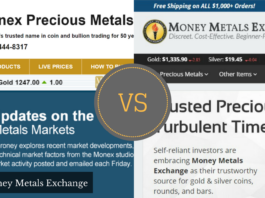 Figure out what’s best based on people who’ve bought from these dealers before. It’s honest customer feedback about each dealer. When you’re deciding against two different dealers, showing both going head to head will help make the final decision much easier. If you see any company that you’ve used in the past, please consider leaving a dealer review as well. 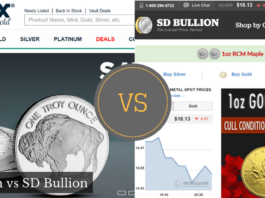 Sharing your experiences makes each new buyer even more aware of the best online bullion dealers. 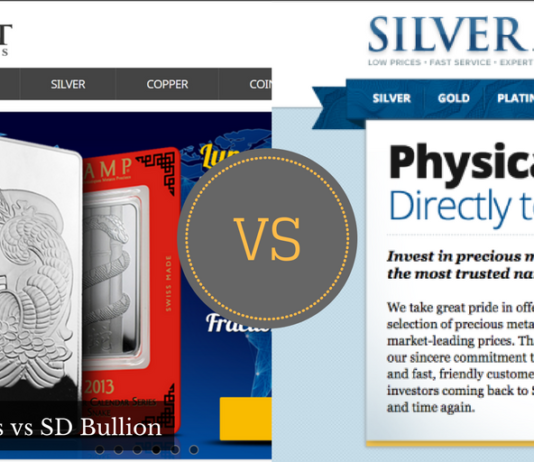 Rate each dealer just as Silver Monthly has, based on your experience on pricing, selection, shipping cost, service as we average out each category for an overall score. Not only will you be able to find out the best dealer, but you’ll be able to share your experiences for the next wave of new buyers.